If you’ve played a competitive first-person shooter, you’ve probably been here before: One minute you’re playing a match, things are going fine, and then, BAM! Someone hiding across the map picks you off with a sniper rifle. It’s irritating, but it was a good shot, so you go on your way. Until a few minutes later, when, BAM! That same sniper, sitting in the same spot, picks you off again. Now you’re annoyed. You grab a sniper rifle to pick that person off, hop out, line up your shot, and, BAM! They’ve got you a third time. Next thing you know, you’ve thrown ten lives at this same person, completely lost track of the rest of the game, and carved a place for yourself in their next montage video. Welcome to the world of tilt! Before we can really discuss tilt, we need to understand what it is and its roots. In the simplest terms, tilt describes a state-of-mind where a player becomes frustrated or angry and allows those emotions to negatively influence his or her behavior, decisions, and performance. While it is easy to notice the signs from the outside, in that moment, the player typically does not realize it until it is too late and the damage has been done. 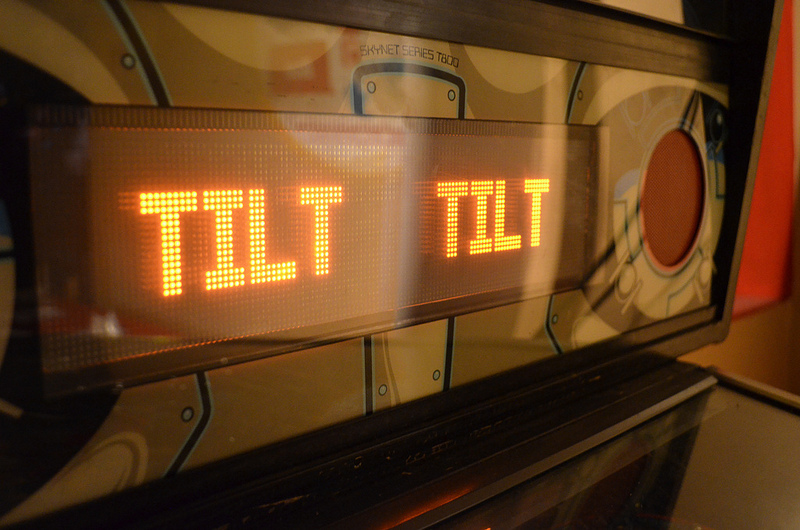 While many gamers talk about tilt, it did not originate in video games. Before it was adopted by gamers, tilt was a term used by poker players. In the world of poker, tilt refers to a state where a player becomes frustrated and plays over aggressively. Maybe you lose against a better hand; maybe you fold against a weak hand; or maybe it is just a string of bad hands. In poker, there are a lot of things that can happen which can frustrate a player. Like gaming, when a poker player is frustrated or angry, they start making bad decisions which can quickly produce a spiral of even more negativity. However, many poker players attribute the word to pinball machines. For those who have never used a physical pinball machine, players can manipulate the trajectory of the ball by nudging, or tilting, the machine. To combat this, machines contain mechanisms which, when triggered, lock the flippers and cause the ball to fall out of play. This locked up state was referred to as tilt. An angry player, who acts out of frustration following an undesirable bounce, could hit a machine, trigger the sensor, and produce an even more detrimental outcome. We’ve all felt angry or frustrated while playing games. But having those feelings is not the same as being on tilt. I think most of you would agree that one of the fastest ways to get frustrated and angry is to lose. No one likes to lose, but when you play a competitive game, losing is just part of the experience. When you play a shooter, it is inevitable that you will eventually get killed and lose a match. When you play a fighting game, you cannot avoid getting hit and losing rounds. When you play a strategy game, there is no way around losing units and engagements. Like I said, losing is part of the competitive experience. And yet, sometimes those losses and defeats carry an extra sting which can push us onto tilt. While one death might not bother you too much, repeatedly getting killed by the same person, over and over and over is an almost guaranteed way to end up seething when playing a first-person shooter. In fighting games, it’s one thing to lose a match against a skilled opponent. It’s another thing to lose a match against a person spamming the same combo over and over. It’s especially annoying if it is a combo that you cannot avoid or counter. When I used to play a lot of Starcraft, there was nothing that got under my skin like cannon rushes. I hated cannon rushes because I always thought of them as a low-skill strategy which required quickly trapping the enemy rather than actually building an army and out maneuvering your opponent. When a player becomes angry and frustrated, the concern is that those feelings can start a snowball-effect which grows uncontrollably. People often say they’re getting tilted when bad things happen in a game, but that frustration we feel isn’t tilt. There isn’t anything wrong with frustration as it is a natural feeling when things do not go our way. Tilt occurs when we let that frustration influence our actions. 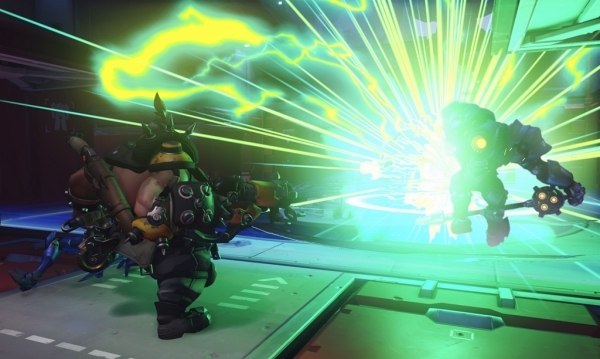 If you’ve ever played a team-based competitive game with voice-chat, you’ve probably had the experience of a player angrily screaming into their mic. Who knows, maybe you’re the person prone to such outbursts. Maybe they’re complaining about the player who killed them for the fifth time, maybe they’re blaming their teammates for letting them die. Regardless, this is an example of letting frustration and anger take control. Communication is key in many competitive games and tilt-induced angry rants prevent successful communication. For starters, when a player is raving over a death or loss, they’re not providing critical information, such as the location of a sniper or the types of units around a corner, to their teammates. To exacerbate the issue, the other players on the team cannot communicate as effectively when one person is filling the team-chat with loud and unending vitriol. Another example of letting frustration take control of our actions is rage-quitting, the act of angrily leaving a match or game. One of the biggest problems with players who rage-quit out of frustration is that the player on tilt often does not experience the consequences and instead forces their teammates to bear the brunt of their poor decision-making. While many games will attempt to alleviate this burden by bringing in another player mid-match, some games do not. For instance, because of the way skill rankings work in Overwatch, players cannot join a competitive game once it has started. As a result, if a player lets frustration affect their behavior and quits early, the players who remain in the match are left with a major disadvantage. Becoming tilted can even influence our actions to the point of more physically tangible ramifications. We all either know someone or have heard stories of people who have broken their controllers in a fit of rage after a bad game. I image most players don’t consider it normal to angrily hurl a controller across the room, but, as frustration grows, there are some players who, even for a moment, can let frustration control their actions and behave out of character. 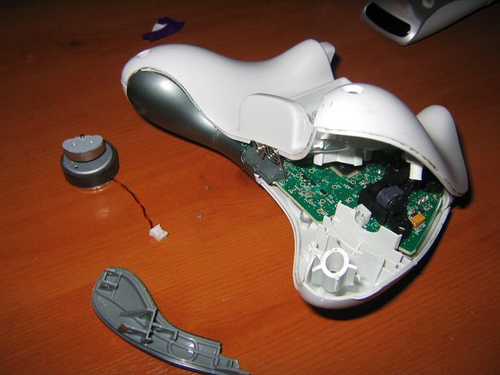 Given the cost of controllers, this can become an expensive lesson in anger management. When a series of bad decisions or outcomes occur in a game, players will often claim they’re getting tilted. However, in my opinion, to be on tilt rather than just frustrated or angry, a player must not realize it for some period of time. Now, I’m not saying it needs to be a long stretch of time. In a real-time strategy game, it could only be for a single engagement; in a fighting game, maybe it is only a single round; and in a first-person shooter, it can last against a single opponent, but for some period of time, frustration must have a negative impact on the player’s action to be considered tilt. In the best case scenario, a player catches themselves on tilt and either makes the necessary adjustments or takes a break from the game. On the other hand, a player might realize he or she has become tilted, knows that they are not behaving as they would normally, but then continues to play, slipping deeper into tilt. I will be the first to admit that I’ve caught myself in this situation more than a few times. While tilt usually comes up in regards to competitive multiplayer games, those aren’t the only games where tilt can occur. It is just as easy for AI opponents to push players to the point that frustration clouds their judgment and negatively influences their behavior. For anyone who doesn’t think they can get tilted playing single-player games, I recommend giving Cuphead a spin. 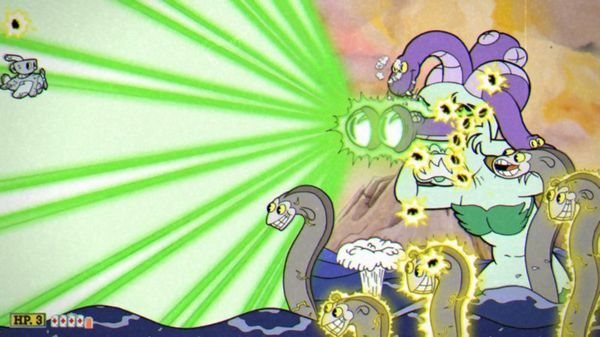 Cuphead is a run-and-gun side-scrolling platformer where players must defeat a series of unique and challenging bosses. For the most part, Cuphead is about memorizing patterns to know when you must dodge and when you can attack. While a successful boss encounter usually only takes one or two minutes, I found myself spending over an hour on many of the game’s encounters. There was nothing quite as infuriating as getting close to the end of a level and losing due to a series of attacks that left me without any room to dodge. It certainly doesn’t help that whenever you die, the game is kind enough to show you how close you came to beating the encounter. As much as I love the Fire Emblem franchise, there’s nothing quite like getting to the end of a long level, thirty-plus turns in, and then losing a character due to an unlucky critical hit or missing an attack with a high probability of success. I’ve definitely dived back in and let my frustration and impatience influence my decision-making to the point of not being able to reach the end of the level again. Cooperative multiplayer games offer a number of sources, beyond just AI opponents, that can give rise to tilt. Given BlueGartr’s Final Fantasy XI roots, I’m sure many of you have experienced frustration from not receiving a drop from a boss or raid. In many loot-based games, not getting a drop (either because it didn't drop or because it went to someone you felt was less deserving) is bound to produce frustration. There are plenty of players, myself included, who spent more than a year chasing after a single drop. For as many of us that eventually received our coveted items, there are countless others who gave up because the frustration became too much to take -- some might consider this coming to their senses rather than tilt though.. In cooperative games, a teammate’s repeated poor performance can push many players onto tilt. Sometimes tilt will cause a player to berate another rather than providing constructive criticism. I’ve personally caught myself doing the opposite when overly frustrated in cooperative games, shutting up. While not as aggressive as yelling at a teammate, I’m still letting anger and frustration affect my behavior instead of discussing how to solve the problem. Other times a tilted player will just leave the activity in frustration. I recently had a player launch into a string of expletives and then drop out in the middle of a Destiny 2 raid boss because another player died during a critical point. This left the five of us remaining with a more challenging task as most Destiny raid content is designed with six players in mind and our team lost a sixth of our damage potential. While most gamers focus on the negative aspects of tilt, there are also positive elements that come from understanding tilt. For starters, a player that realizes they are on tilt can use it as a learning experience to improve his or her gameplay and not repeat the same mistakes. Whether it is learning which sight-lines to avoid in a shooter or learning how to counter an especially annoying move, tilt can be a powerful teacher. 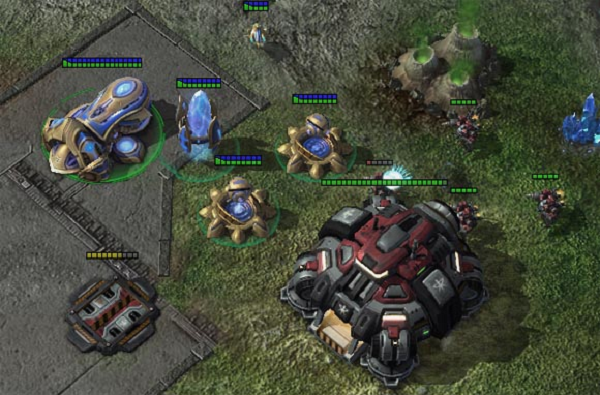 In my aforementioned Starcraft example, knowing the effects of cannon rushes on my mentality taught me to be more aware of my surroundings and my opponents' movements. Another benefit that comes from understanding tilt is learning how to use it to your advantage. As I said before, we have all felt anger and frustration while playing games. That sentiment applies to you, your teammates, and your opponents. If you can affect your opponent’s mental state and put them on tilt, you can have an advantage. In many games, one of the most well known ways to disrespect an opponent is t-bagging -- the act of repeatedly crouching over a defeated opponent simulating the act of sticking one’s balls in the other person’s mouth (never thought I’d write that sentence..). T-bagging is seen as juvenile, immature, and childish. It is also remarkably useful at getting an opponent on tilt. We all know someone (or maybe it’s you) who becomes unhinged after getting t-bagged. One of my friends I played shooters with used to make it his personal mission to hunt down any opponent that t-bagged him and then t-bag them after every kill, regardless of whether it was safe or not. If t-bagging is too crass for you, games like Destiny and Overwatch offer players a collection of emotes which can work as a great tool to upset an opponent in PvP. If I repeatedly snipe the same opponent or knock someone out of their super I always make sure to throw out a wave (or bow in Destiny 1) because I know there’s a chance it will upset their mental state even more. Is it possible to avoid tilt? Honestly, probably not. As we’ve discussed, it’s natural to get frustrated or angry when you lose, when things do not go your way, or when you are not performing your best. And it’s only natural that repeated frustrations will affect our behavior. So given that tilt is unavoidable, what can we do? Well, to start, a player must realize that he or she is on tilt. When you lose over and over, is it that your opponent is just better than you, or are you letting your emotions drive you to play more aggressively or carelessly? It is admittedly hard to take that step backward and evaluate your behavior when you’re in an agitated state, but that itself might be a telling sign of tilt. Once a player realizes he or she is on tilt, the next constructive step is work to get off tilt (you could also just sink deeper into tilt, but that’s not really what we’re shooting for..). Unfortunately there is no universal solution to tilt. For some people, it’s easy to take a moment to refocus and calm down. Others need to step away from the game for some time to clear their heads. For me personally, my response to realizing I’m on tilt varies from game to game. When playing PvP in games like Destiny, where I care about my kill/death ratio, or Overwatch, where tilt can promptly make a large dent in my skill rating, I’m quick to put the game down if I catch myself letting my emotions negatively influence my performance. Other times, often when playing single-player games, I try to take a quick moment to calm down and take a few deep breaths before attempting the tilt-inducing activity again. In the end though, dealing with tilt is a constant process. We can’t avoid it completely, but we can work to get better at catching it before it does too much damage, and maybe that’s just good enough.